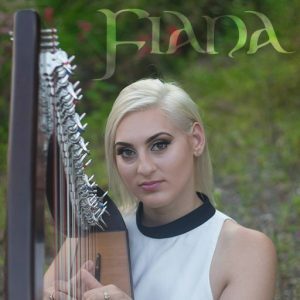 Fiana is a talented harp player who hails from Castleconnell, County Limerick, Ireland. Initially trained as a traditional musician, she has expanded her repertoire to incorporate a wide variety of other genres in order to create the perfect atmosphere for any special event. She currently spends her time between Ireland and the UK. To check availability for any occasion please contact Fiana through the contact page. Fiana has released her debut solo album, entitled, ‘Dathanna an Cheoil’. CLICK HERE to visit the Shop page and purchase your copy.